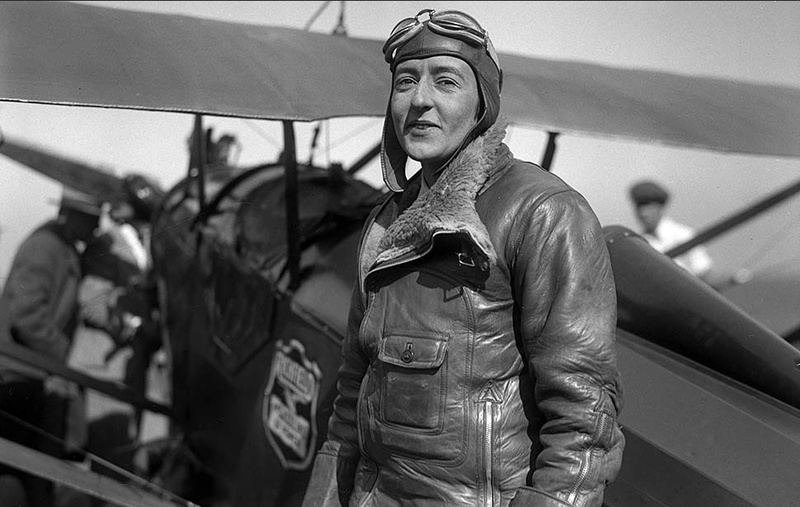 15 August 1935: Two of the most famous men of their time, Wiley Hardeman Post and William Penn Adair (“Will”) Rogers, were killed in an airplane crash near Point Barrow, Alaska. 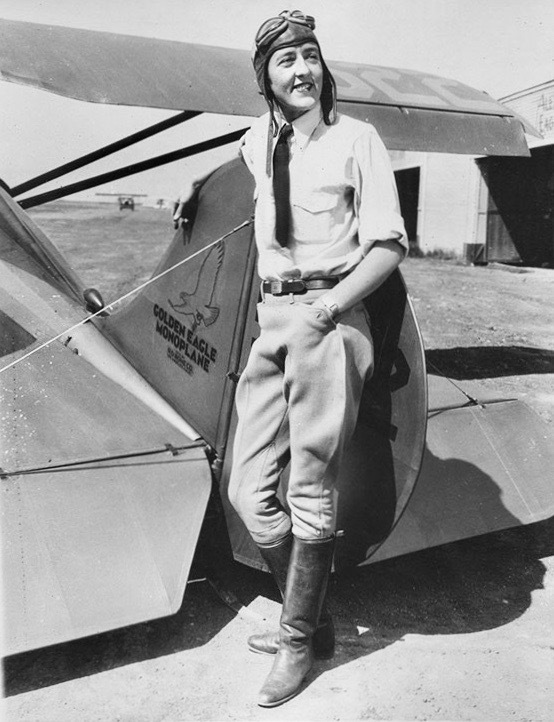 Post, a pioneering aviator who had twice flown around the world—once, solo—and helped develop the pressure suit for high altitude flight, was exploring a possible air mail route from the United States to Russia. His friend, world famous humorist Will Rogers, was along for the trip. 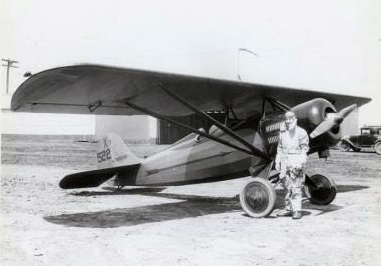 Post’s airplane was a hybrid, built from the fuselage of a former Transcontinental & Western Air, Inc., Lockheed Model 9E Orion Special, NC12283, combined with a wing from a Lockheed Model 7 Explorer. T&WA operated the Orion for two years before selling it to Charles Babb, Glendale, California. 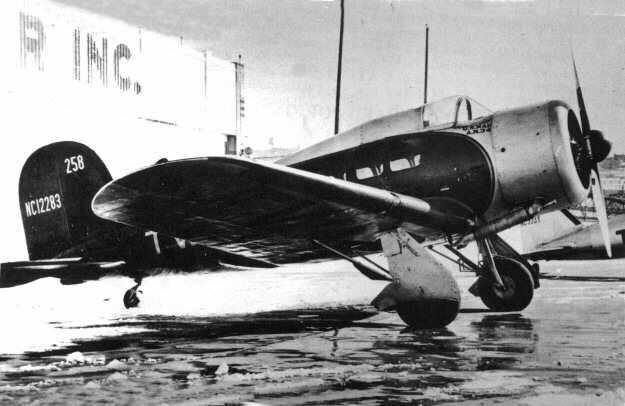 Babb installed the salvaged wing from a modified Lockheed Model 7 Explorer, Blue Flash, NR101W, which had crashed in Panama in 1930. The Orion’s standard 450 horsepower Pratt & Whitney Wasp SC1 engine was replaced with an air-cooled, supercharged, 1,343.8-cubic-inch-displacement (22.021 liter) Pratt & Whitney Wasp S3H1 nine-cylinder radial engine (serial number 5778), rated at 550 horsepower at 2,200 r.p.m. to 5,000 feet (1,524 meters), and 600 horsepower at 2,250 r.p.m. for takeoff. 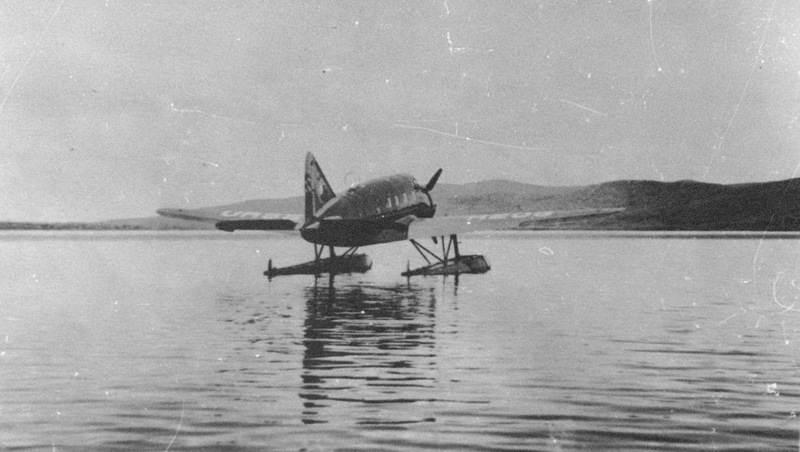 A three-bladed Hamilton Standard variable-pitch propeller was used. 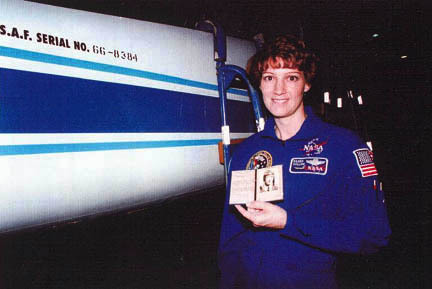 Both the SC1 and S3H1 were direct drive engines. The S3H1 was 3 feet, 7.01 inches (1.093 meters) long and 4 feet, 3.60 inches (1.311 meters) in diameter. It weighed 865 pounds (392 kilograms). Post also wanted to replace the retractable landing gear with pontoons for water landings. Lockheed engineers were of the opinion that the hybrid aircraft and the other modifications which were requested by Post were dangerous and refused to do the work. Pacific Airmotive, also located in Burbank, California, however, agreed to modify the airplane. 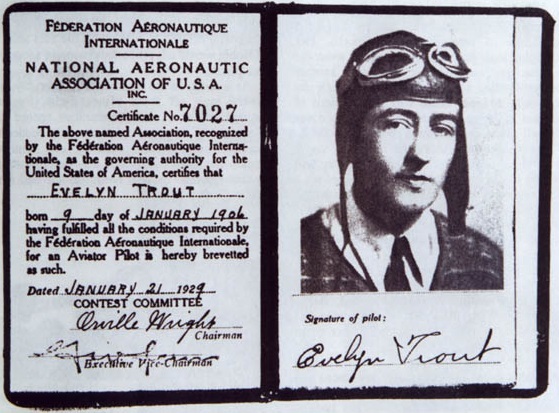 Several names were used to describe the hybrid airplane, such as “Lockheed Aurora,” as well as others perhaps less polite. It was given the restricted registration NR12283. NR12283 was 27 feet, 6 inches (8.382 meters) long with a wingspan of 48 feet, 6 inches (14.783 meters). The wing area was 313 square feet (29.079 square meters). 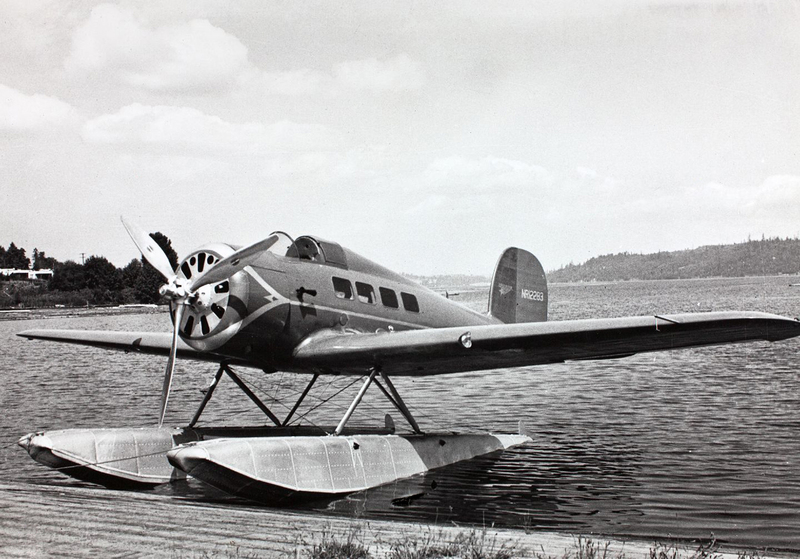 Wiley Post’s red Lockheed Orion/Explorer hybrid, NR12283, at Renton, Washington. Post had the pontoons installed at Renton, Washington. The floats that he had ordered did not arrive on time so he installed a larger set intended for another aircraft. 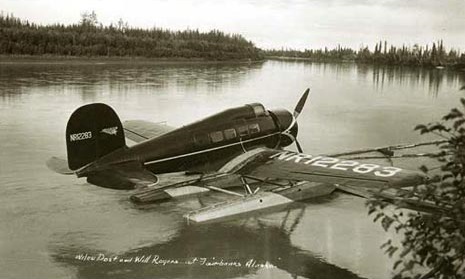 After several days of flying from Seattle and through Alaska, Post and Rogers were nearing Point Barrow on the northern coast of the continent. They encountered dense fog and landed on Walakpa Bay, about 13 miles (21 kilometers) southwest of the village of Barrow. After talking with a local resident, Clair Okpheah, they taxied back on the lagoon and took off to the north. Post banked to the right, but at about 50 feet (15 meters) the engine stopped. NR12283 pitched down, rolled to the right, and then its right wing struck the mud. The right wing and pontoon were torn off and the airplane crashed upside down. Post and Rogers died. Clair Okpheah ran to Barrow for help. 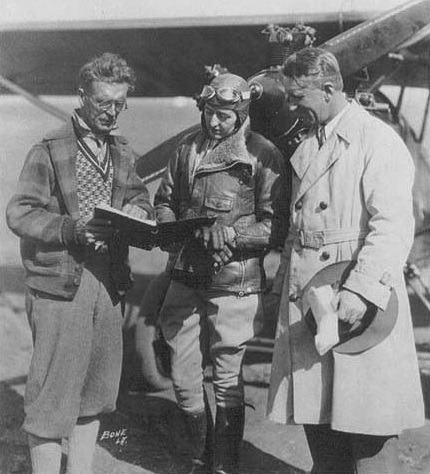 When a rescue party arrived 16 hours after the crash, the men recovered the bodies of Post and Rogers. It was noted that Wiley Post’s wristwatch had stopped at 8:18 p.m.